Rock, Wildnote, Scissors—Paper is Obsolete! 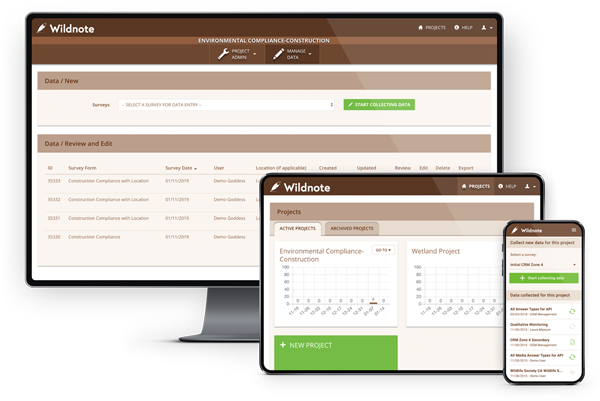 Wildnote delivers software solutions for environmental regulatory compliance, monitoring, remediation, and restoration on large-scale infrastructure projects. Our tools are key to ensuring accurate data that’s available on time and on budget. 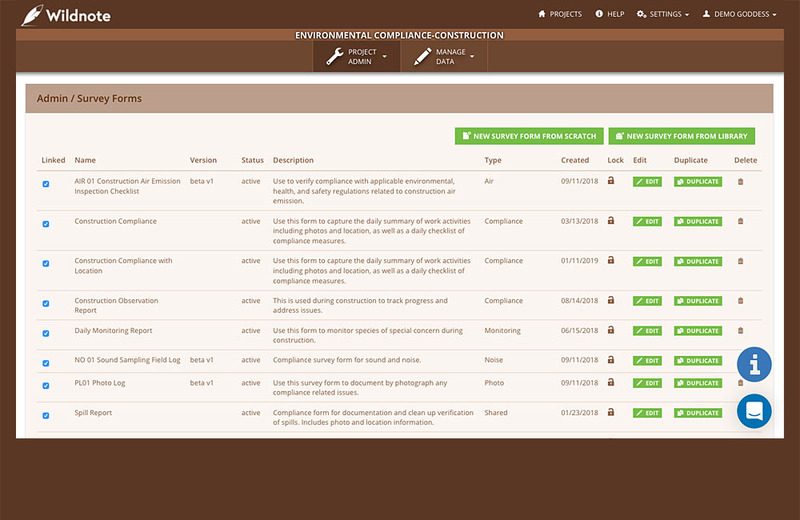 Avoid costly delays and notices of violation while meeting the demands of your boss, clients, regulators, and subcontractors alike. 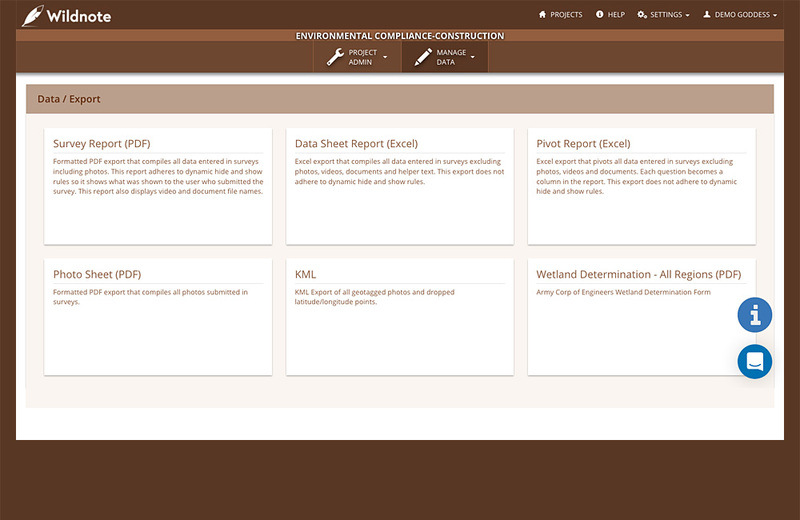 Wildnote provides easy reporting to help you meet Clean Water Act, Clean Air Act, and CEQA/NEPA requirements. At Wildnote, we provide technology that not only meets your project demands, but exceeds your expectations. Ready to see if Wildnote is the right partner for your organization? 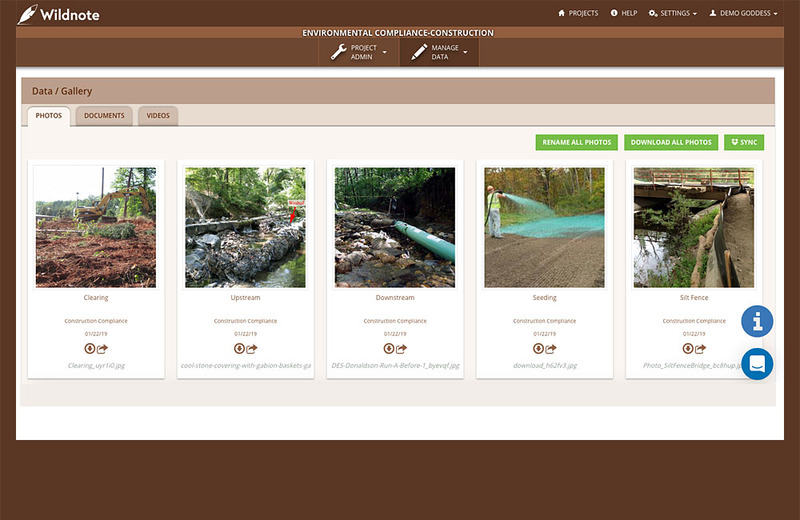 View the photo and data gallery by project. Export data and photos in a variety of formats, including report form (PDF) and Excel. 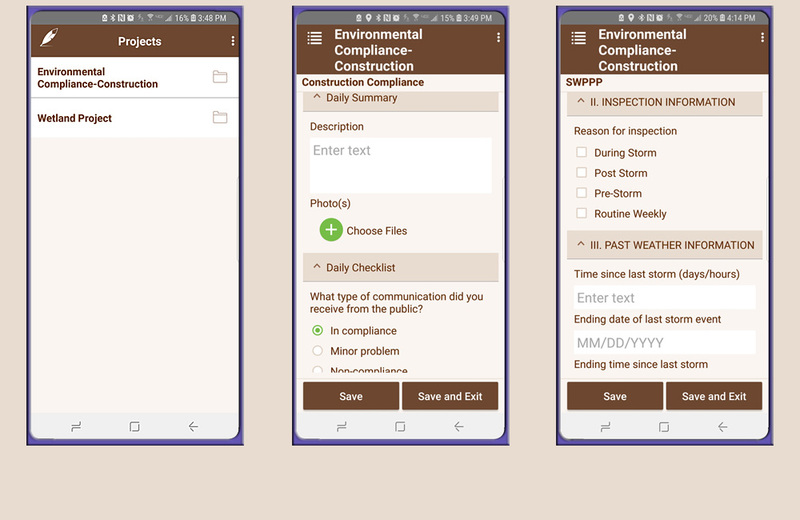 The mobile app interface provides for easy entry of field data. Click on the white square in the top-right of any image for a full-screen view. What Can Wildnote Do For You? 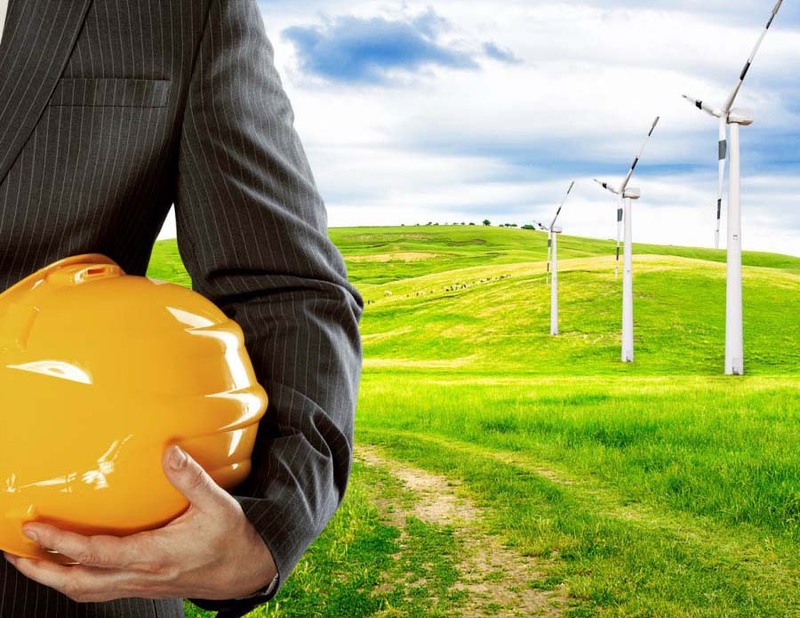 Caskey Biological Consulting, LLC (CBC) conducts studies for pipelines, oil and gas exploration, wind farms, utility lines, highways, and other project types throughout the United States. Jason Caskey estimates that each user in the field saves about an hour per day while he further saves 10-12 hours each week on administrative tasks. That translates into financial savings of $900-$1100 per week for his time and roughly $5000 per week for the field biologists. 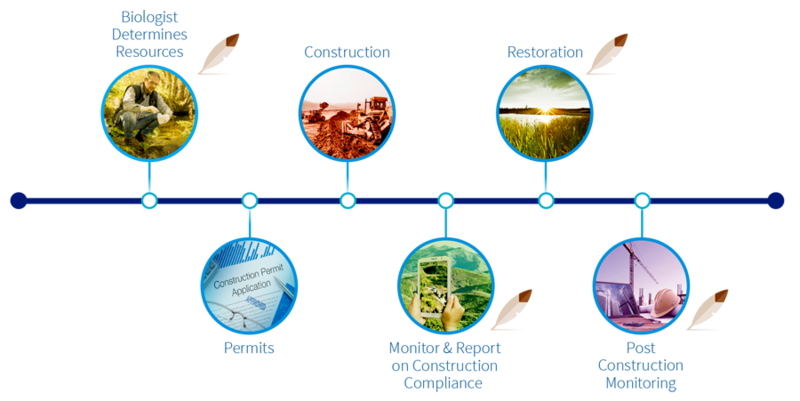 K2 Environmental provides environmental compliance inspection and construction support services to energy industries. By switching to Wildnote, they gained increased efficiency that allows them to deliver a better product, increase job satisfaction, and save money all at the same time. Big projects bring big rewards . . . and big challenges.